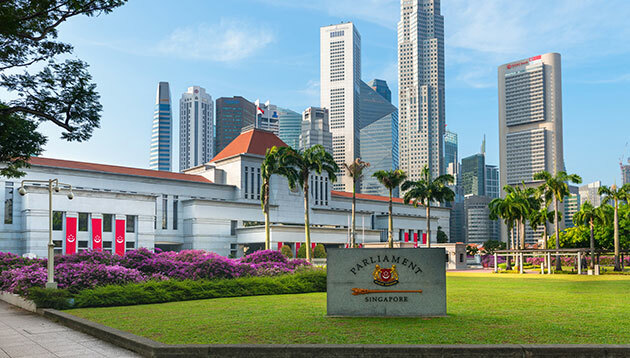 The Ministry of Manpower (MOM) has recently released various parliamentary answers from Minister for Manpower Josephine Teo and Minister of State for Manpower Zaqy Mohamad on issues including discrimination, payslips, leave, and foreign manpower. Here’s what the ministers have to say. Responding to questions by Jurong GRC’s Member of Parliament (MP), Rahayu Mahzam, the minister reiterated that MOM takes a serious view of workplace discrimination – including unfair employment practices against PWDs. From 2012 to date, what is the number of complaints received regarding job discrimination faced by people with disabilities? During that period, about 1,600 complaints on workplace issues were received by the Tripartite Alliance for Fair and Progressive Employment Practices (TAFEP). Among those, four complaints were allegations of discrimination against persons with disabilities. However, upon investigation, TAFEP found no evidence of discrimination, with the main reason for the complaints stemming from poor communication and lack of sensitivity when working with PWDs. The cases were closed after TAFEP provided advice to the employers to improve their employment practices. Whether the MOM will study the need for an anti-discrimination law to protect such persons? “There is no conclusive evidence that anti-discrimination laws necessarily improve employability of persons with disabilities,” minister Zaqy Mohamad said. Rather, such laws may have the unintended consequence of deterring employers from hiring PWDs as employers may fear workers cannot be dismissed even with legitimate reasons or that their actions would be misconstrued as being unlawful. Beyond legislation, the key to addressing discrimination is to change mindsets. Responding to questions by Pasir Ris-Punggol GRC’s MP, Zainal Sapari, on itemised payslips, the minister said MOM will continue to monitor the situation and work with tripartite partners to raise awareness and strengthen enforcement as needed. What is the number of workers who have lodged a complaint against their employers for failing to provide itemised payslips since the time such payslips were made mandatory on 1 April 2016? And how many companies have failed to issue itemised payslips to their workers? Over the past two years, about 500 complaints were received by MOM against employers for not issuing itemised payslips. Through proactive inspections on employers, another 1,200 employers were formally notified to rectify their practices. 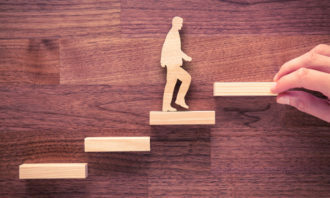 What measures are being taken to educate and help employers, especially those in small-to-medium enterprises, in complying with the legislation to issue itemised payslips to their employees? When the requirement was introduced, employers were given sufficient time to prepare with ample access to solutions and resources to comply. MOM worked with tripartite partners and industry associations such as the NTUC U Care Centre, U SME, Federation of Merchants’ Associations Singapore, and the Association of Small & Medium Enterprises to increase awareness and offer solutions. Guidebooks on complying with the requirements and templates for payslips have been distributed to about 180,000 employers so far. 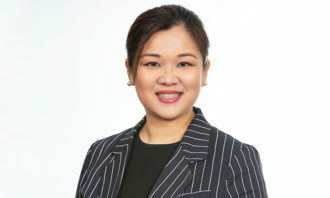 Small and Medium Enterprises can also tap on HR Shared Services providers, such as those appointed under Enterprise Singapore’s HR Shared Services scheme, to help them to be in full compliance with the law. In response to questions by K Thanaletchimi, NTUC central committee member and nominated MP, minister Josephine Teo explained that the Employment Act (EA) does not currently name the community hospitals as among the list of approved medical institutions for certifying hospitalisation leave. Is hospitalisation leave issued directly by community hospitals to an employee is recognised as hospitalisation leave by the employer? And will the Employment Act will provide for such recognition in light of increasing follow-up visits made by patients with community hospitals directly? In general, community hospitals receive patients referred from acute hospitals. Hospitalisation leave certified by a doctor from an acute hospital remains valid under the EA, even if the patient is subsequently transferred to a community hospital. This remains the typical route by which patients enter the community hospital. Currently, the EA does not name the community hospitals as among the list of approved medical institutions for certifying hospitalisation leave. However, the minister acknowledges that hospitalisation leave issued for patients directly admitted to a community hospital should be recognised under the EA, similar to stays in other public hospitals. Hence, MOM intends to work with the Ministry of Health to update this list, and will consult the tripartite partners before finalising it. Responding to questions by Holland-Bukit Timah GRC’s MP, Christopher De Souza, on foreign workers agency fees, the minister said Employment Agencies (EAs) operating in Singapore are not allowed to collect fees exceeding one month of the worker’s salary for each year of contracted service here, capped at two months’ salary. What enforcement actions have been taken against agencies who charge foreign workers more than the maximum cap for agency fees? And how have these enforcement actions benefited the relevant employees? Between 2015 to 2017, MOM took action against 23 errant EAs for violating the rule above. Three were prosecuted and had their licences revoked while the remaining were given written warnings or had composition fines imposed on them. MOM also helped the workers who were in Singapore to recover their excess agency fees in full. While MOM has prohibited the EAs in Singapore from charging workers beyond the stipulated fee cap, it is beyond MOM’s jurisdiction to regulate agents in the workers’ home countries. However, whenever MOM investigations reveal suspicious or irregular fee practices, pertinent information is shared with the foreign embassies to enlist their help to combat any malpractices in their respective countries. What can be done to ensure that deductions from employees’ salaries made by employers are legitimate? When applying for Work Permits, employers are required to declare key salary terms, in particular the basic and fixed monthly salary, and salary deductions, to prospective foreign workers. These terms are stated in the In-Principle Approval (IPA) letters, which are available in the workers’ native languages, and must be sent to the workers prior to their departure for Singapore. 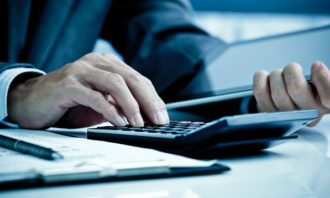 Employers are not allowed to increase salary deductions from what was stated in the IPA, unless they have obtained the workers’ written agreement and notified MOM of the revisions. In addition, these deductions must comply with the maximum deductions allowable under the EA. Foreign workers who have had their salaries deducted without their written consent, or beyond what is allowable under the law, should report this to MOM as early as possible. This point will be made clear through the Settling-in Programme which will be gradually rolled out to all new non-Malaysian foreign workers in Singapore starting with those in the construction sector from October 2018. Female bosses encourage development and praise progress. Is this why they drive higher engagement than male bosses?..